CHECHESMITHNATION : Flavour's Baby Mama Anna Ebiere Rocks-Out In Style! Flavour's Baby Mama Anna Ebiere Rocks-Out In Style! 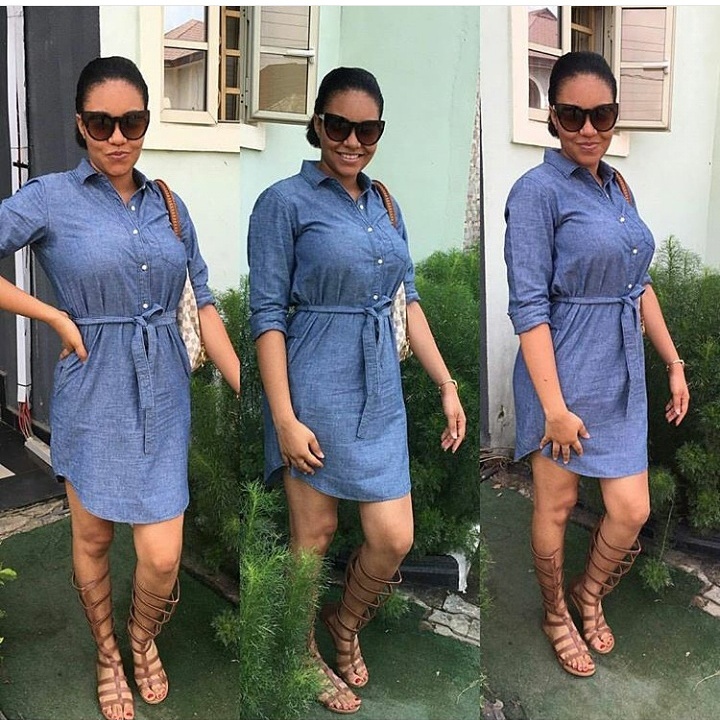 Ex beauty queen, Anna Ebiere, struck a pose in this cute denim shirt teamed with a brown gladiator sandals with her eyes behind that trendy shades.